I have grown a bit bored of SNL over the past few years, but within a 40 year span of weekly live sketch comedy, they have managed to tap into some controversial topics and flipped them into some amazing moments in comedy. Once in a while, you’ll find yourself in a circle of smartphone users, entrenched in an SNL discussion, and sooner or later, someone will say “You never saw that!” “Hold on, You gotta see this!” So begins the Google search for that SNL sketch, only to find that it has been pulled out by NBC over some rights issue in a YouTube bust. 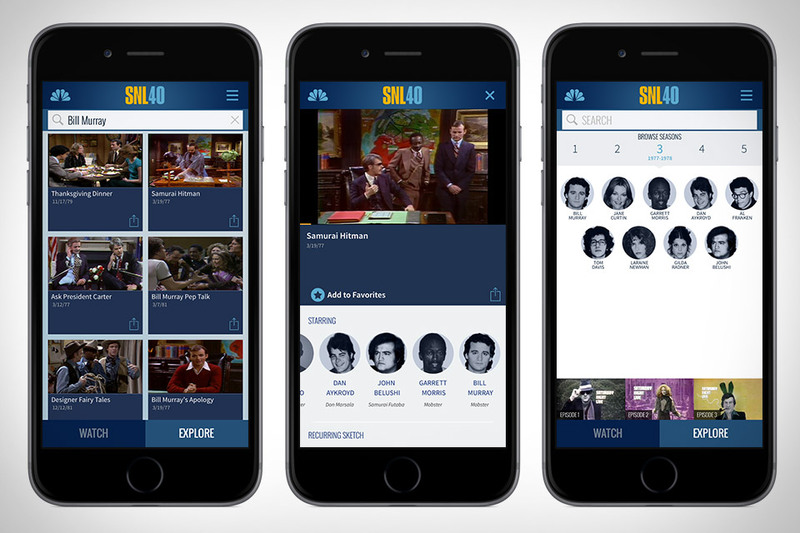 With the SNL app ($FREE), you can call up any sketch from the SNL library by simply tapping on the actor of choice. You should listen carefully, or you’ll wind up living in a van down by the river! The app is currently for iOS, but an Android version is in the works.